We use steam with deodorizer to ensure your furniture not only looks clean but smells clean as well. We also use the same rinse in upholstery cleaning that we use in carpet cleaning that will speed up the drying process. This is a necessary step in cleaning your upholstery. During this step, we pretreat all the furniture before the cleaning process. This will loosen any dirt and grime in the furniture before we begin the upholstery cleaning. Now comes the part where your furniture begins looking like new. The process that we use will successfully and efficiently remove the dirt, dust and allergens from your furniture. We will now steam clean the upholstery. 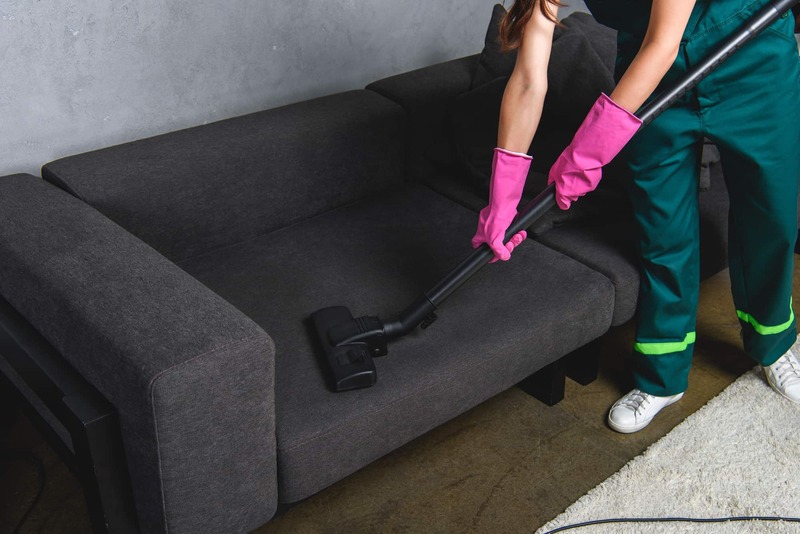 Our process will not harm your furniture in fact, furniture manufacturers recommend steam cleaning as the method for cleaning their products. This is the final step in our process. This step is important because it will make certain that there is no cleaning residue left in your furniture, and leave it smelling fresh.